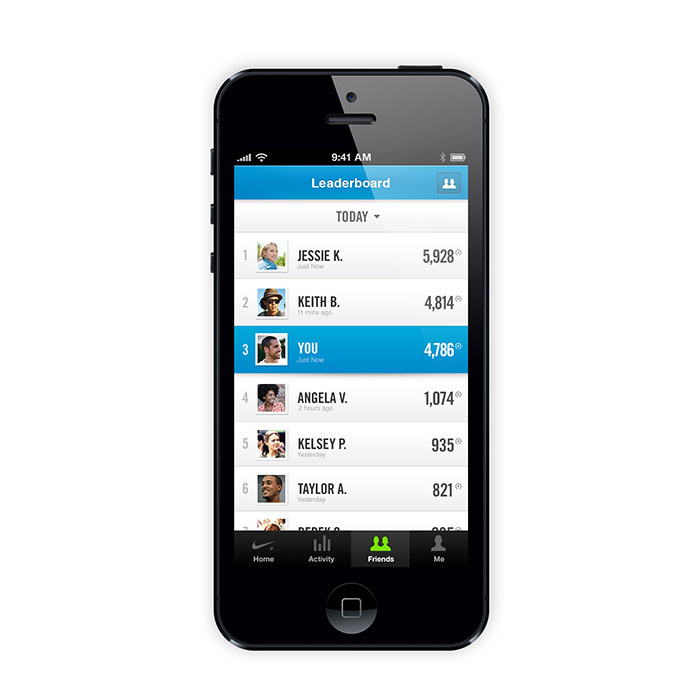 Nike+ have updated their FuleBand iPhone app, taking it further into the social media domain. I won’t go into detail as to exactly what the FuelBand and Nike Fuel do or what they are for, we’ve done that before. This update moves the technology further into the social realm, adding the ability to upload photos, geotag them and tag their friends. 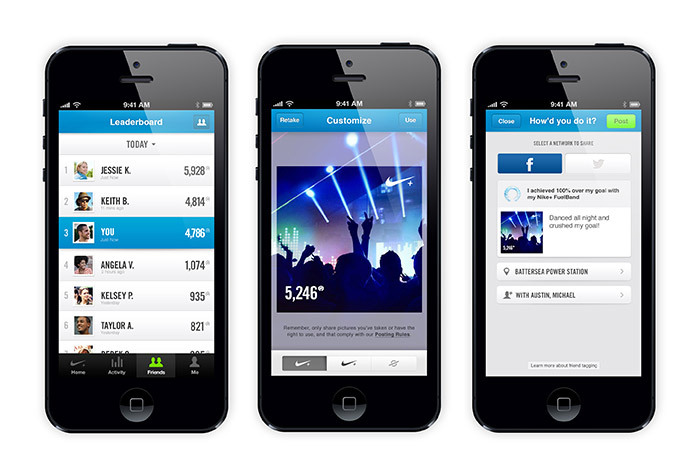 Users can also add their current Nike Fuel score and the Nike+ logo before sharing on Facebook. Although minor changes to the app itself, they are very substantial and signify Nike+’s movements to enter the digital social life of it’s customers. It will be interesting to keep an eye on this and Nike+ as a whole as we see Nike Digital get further into the social arena and more in bed with Facebook. 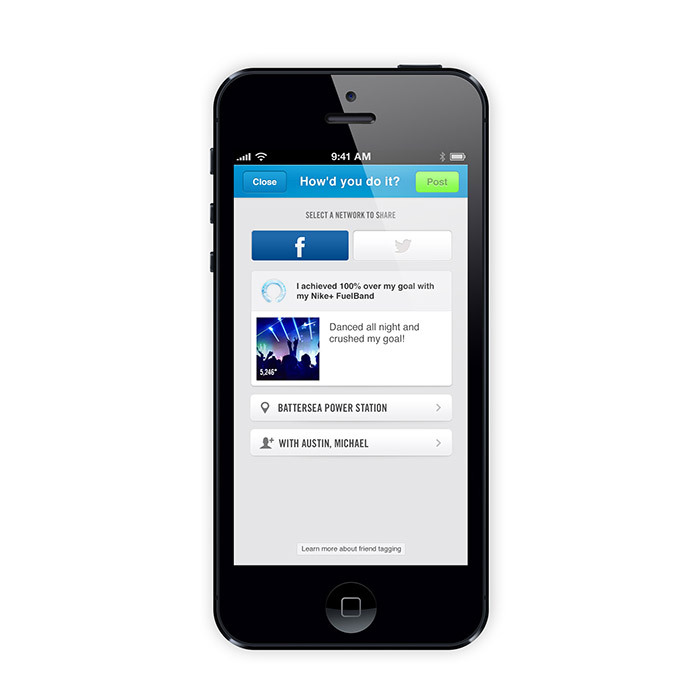 Perhaps the app will open up to further social platforms in the future as well? It would be nice to see the ability to post straight to Instagram from the app for example, which I doubt will take long seeing as they are now owned by Facebook. 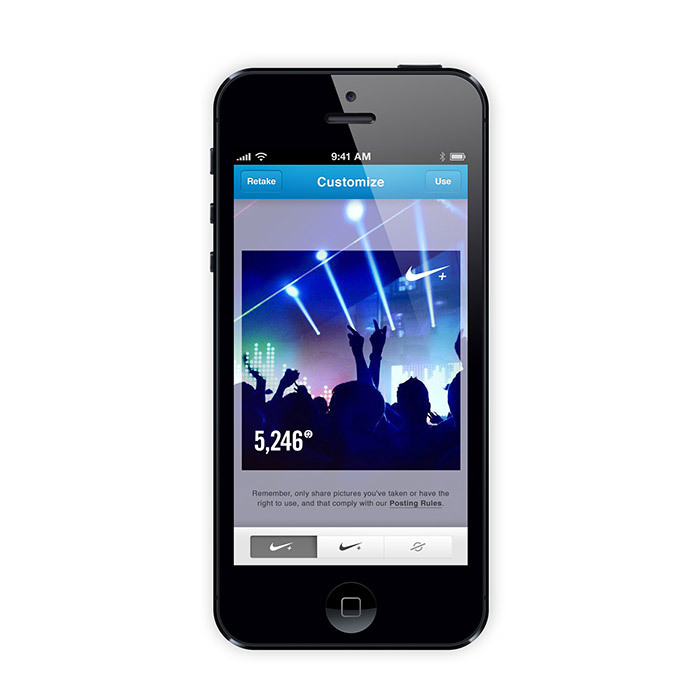 You can find the newly refreshed Nike+ FuelBand app in the iTunes App Store.